Modern social-ecological systems are often partly engineered to enhance the robustness (or reduce the variance) of human welfare to environmental fluctuations over a foreseeable time horizon. Recent studies show, however, that subtle trade-offs are usually inherent in such efforts of enhancing short-term robustness. Managing variance on short time scales is likely to be associated with the buildup of hidden fragilities on longer time scales. Using a flood-prone social-ecological system (SES) of coastal Bangladesh as an example, this paper investigates some of the ways in which such robustness-fragility trade-offs can manifest. This SES has been extensively modified in the last few decades through the construction of large-scale flood protection structures (polders) and the introduction of commercial shrimp farming to enhance the robustness of food production to hydrological variability. 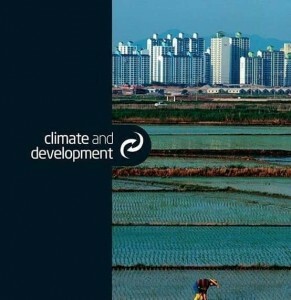 Our case study analysis of the long-term changes in the SES shows that, although the modifications helped with stability in short time scales, the resulting changes also induced unforeseen problems such as infrastructure maintenance issues, land degradation and sinking, and exposure to market volatility. With this paper therefore we contribute to better understanding of the notion of robustness-fragility trade-offs by illustrating an exemplary case of the phenomenon in the engineered coastal environment context.